You may not know it, but we have watched over the safety of your ships for a long time. Chances are that you are the user of at least one of the 10,000 marine radar systems developed and produced by Selenia over the past twenty years and marketed under the Raytheon label. They are installed on all types of vessels, from small ships to VLCC's, while a number of navies have adopted them. 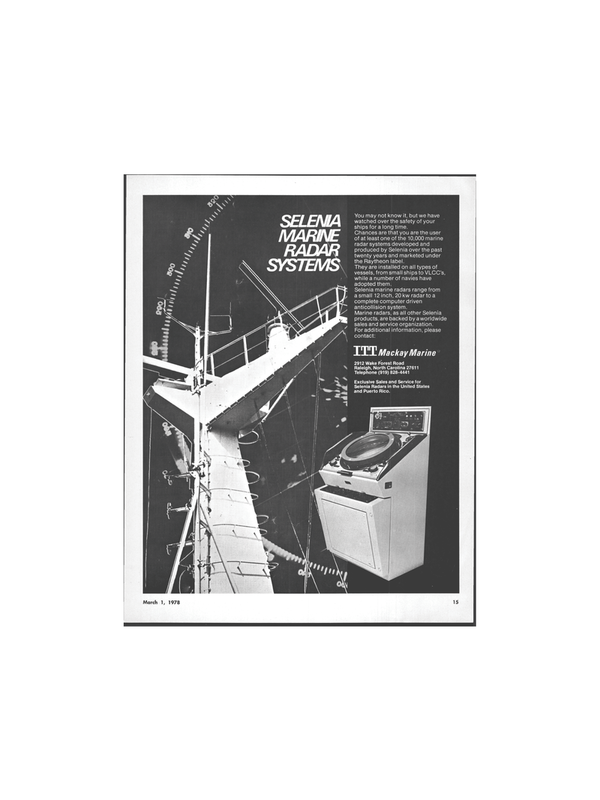 Selenia marine radars range from a small 12 inch, 20 kw radar to a complete computer driven anticollision system. Marine radars, as all other Selenia products, are backed byaworldwide sales and service organization. Selenia Radars in the United States and Puerto Rico.